Katz And Other Tales: We've Won An Award! # 2 and # 7... just like my mom! Congratulations and like #1 too but having a hard time spelling it. nice to know things about you, ellen. :) i hate loud places too and actually can't stand concerts. Congratulations on the award! 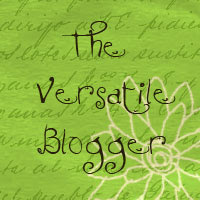 You are an exceptionally versatile blogger indeed! I didn't know you liked fuchsia, swimming or treadmilling, so I am learning new stuff about you today! Ugh.... exercise! Whenever I get the urge to exercise, I sit down with a nice cup of tea and wait for the urge to pass. Oh WOW! Thank you so much for the award!! And congrats for you getting it! Congrats on the very nice award and I enjoyed your answers. Thanks so much for sharing it with us! Y'all have a wonderful weekend!!! Wow congrats on the award - and it is great to learn some new stuff about you! And they are really interesting too - we think the reading list is great! And thanks for passing it on to the NKC - we will have to get off our behinds and get it up there!! I have just discovered Georgette Heyer and I am ensnared! I also love Austin, Pratchett...well all of your choices, actually! Congratulations on your award! And thank you for thinking of us!!! Cool things about yourself. Especially the bit about swimming in the sun! Thank you SO much. I saw the awardie. Mommy said she would try to find some time to make up a list of kitties to send it to. and thank you for mine.! We enjoyed learning the new things about you - hope you enjoyed doing it. Oh love the Awardy & am now gonna read your post .. Then do the post!! Congrats on your award! Enjoyed reading more about you :-) LS says she's with you on item 2 and 4! Thanks for sharing this award with us, really honoured! Will get LS to work on it soon.